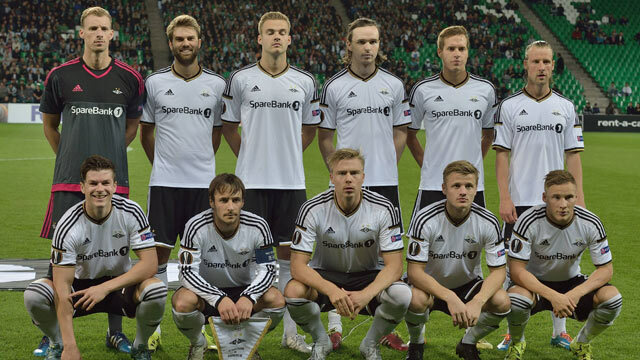 Norway’s most successful football team, Rosenborg BK (RBK) have partnered with sports analytics company Kitman Labs, adding the award-winning Athlete Optimization System™ into their elite performance program. The four-time back-to-back Eliteserien Champions and 2019 Norway Cup Winners will use Kitman Labs to centralise and analyse data from different back-office departments, using the information and insights from the system to strengthen the communication between medical, performance and coaching staff and to support their daily decision making on training and injury interventions. Christian Thorbjørnsen, RBK’s Fitness Coach and Physiotherapist said the introduction of the performance software into their daily routine has been seamless, with athletes using Kitman Labs Athlete Mobile App first thing in the morning to log wellness, sleep and other information via flexible data forms. The data is uploaded immediately into the Athlete Optimization System where medical, performance and coaching staff receive real-time updates on an athlete’s health status. The Norwegian team have been virtually unbeatable, winning the Eliteserien competition 22 times in the last 30 years and making more appearances in the UEFA series than any other Norwegian team. After such a successful season, Thorbjørnsen said the team are more determined than ever to repeat this year’s efforts in the Eliteserien and advance to the play-off stage in the Champions League, which they have not done since 2013. Rosenborg BK are the latest in a long line of elite sports teams across the globe to join forces with Kitman Labs, which has offices in Dublin, Republic of Ireland and Silicon Valley, California, USA. The company works with some of the biggest brands in European and American sports, and are transforming sport with a new approach to leveraging athlete data. Kitman Labs works with over 150 teams around the world and their system is available in 30 different languages.